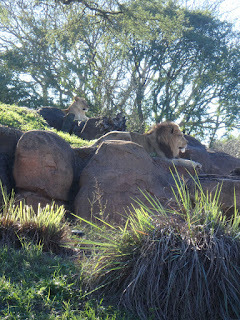 Somehow we haven't done the Kilimanjaro Safaris with Mik since 2007 and he doesn't really remember going on it. 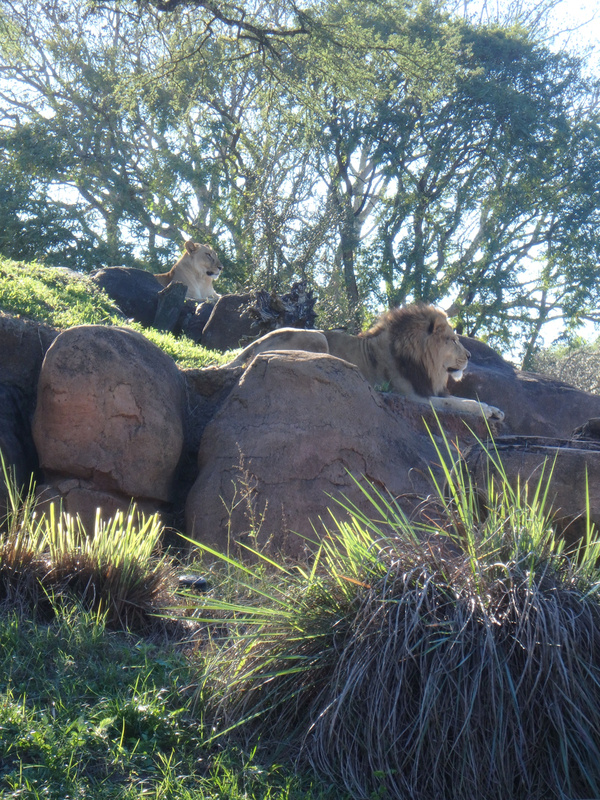 Thus, while he didn't want to do any of the other Fastpass+ we had that day, he did end up having Mom bring him over to meet up with us and do the Kilimanjaro Safaris. About where the Fastpass+ line joins the regular line for boarding, they send you over to the loading area for the wheelchair vehicle. The wheelchair vehicle has a spot in the front with two half rows next to the wheelchair, which worked out just right for our group of 5 (and a half). 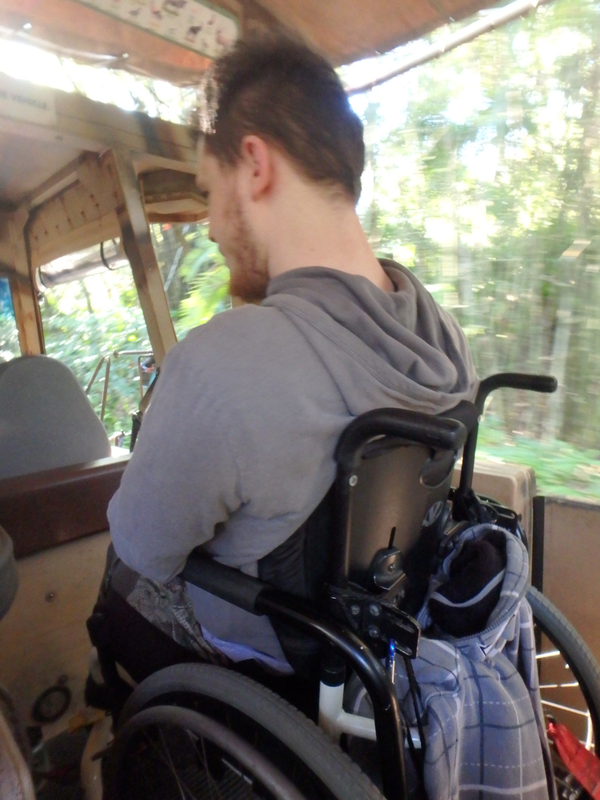 Overall Mik enjoyed the ride as the tie downs kept his chair very stable and he enjoyed seeing the animals. His only problem was that it seemed almost all the wildlife was on the left and the wheelchair spot is on the right, so he had trouble seeing over the people sitting on his left and seeing the animals. Now that we know, we would probably just not have anyone in our group sit in the first row because then he would be able to fully enjoy the safari.